The pass will be available for 950 Apex Coins (about NZD$16) and will unlock most of the game's characters, including newcomer Octane – who releases as part of season one. His Adrenaline Junkie ability lets him trade health for speed, and an endless supply of Stim health regeneration means he’s always ready for action. His Launch Pad Ultimate Ability lets his squad fly through the air with the greatest of ease. In addition, the battle pass will offer banners, poses, and skins for Lifeline, Wraith, and Mirage. Once purchased, players can level up their battle pass by gaining in-game XP. As higher tiers are unlocked, rewards will become more and more valuable – with the final reward being a rare skin for the Havoc energy rifle. XP will be earned towards the battle pass whether the pass has been purchased or not, so players can always drop the Apex Coins later in the season without penalty. Alternatively, players can purchase a battle pass bundle for 2,800 Apex Coins and start with the first 25 levels unlocked. 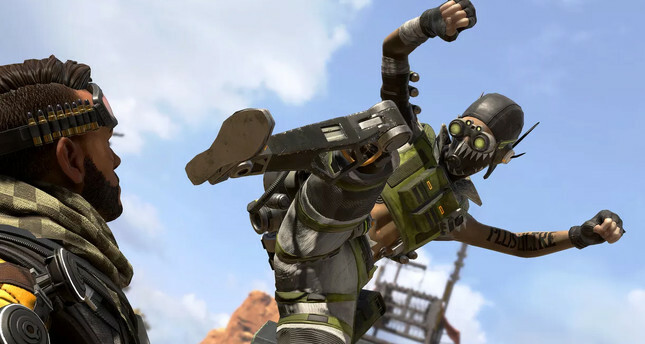 Set in the world of Respawn's Titanfall series, Apex Legends has exploded in popularity after its surprise release at the beginning of February. The battle royale quickly passed 10 million accounts, just recently celebrating over 50 million players.